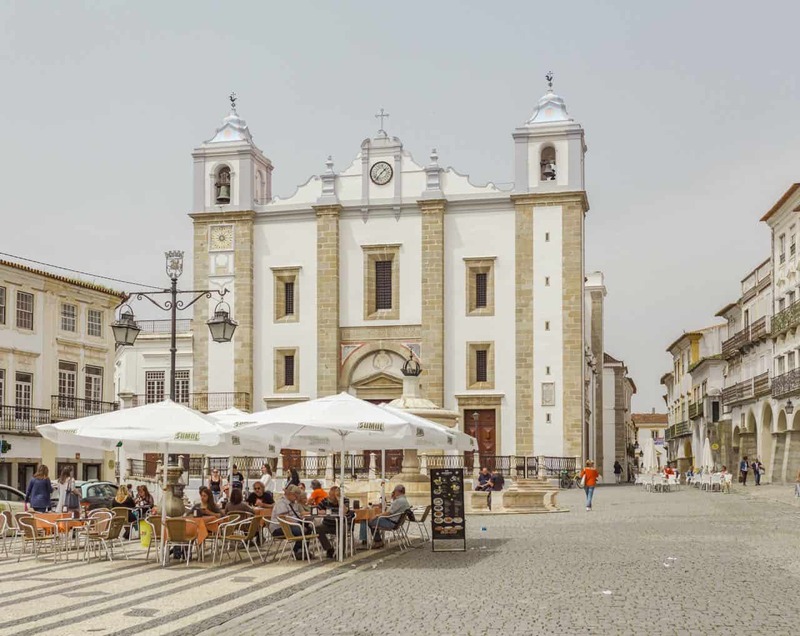 Evora is a small city in the Alentejo region of Portugal. It’s full of white washed buildings and painted yellow trim. The town can easily be toured in a day or two. I would recommend spending one night so you can have plenty of time to see everything, take a lot of photos, eat delicious black pork and then head over to your next destination. 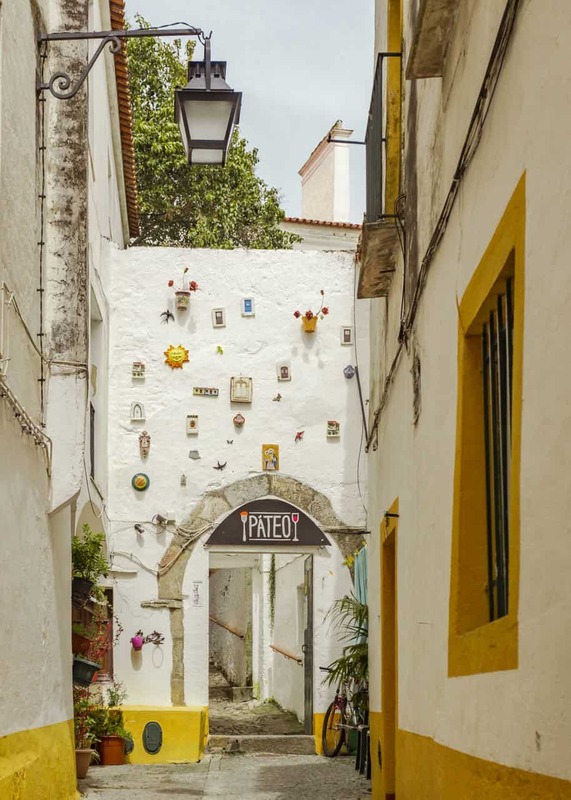 You’ll find plenty of local shops, some touristy and others offering locally made products. Keep an eye out for cork-based products like bags and shoes! 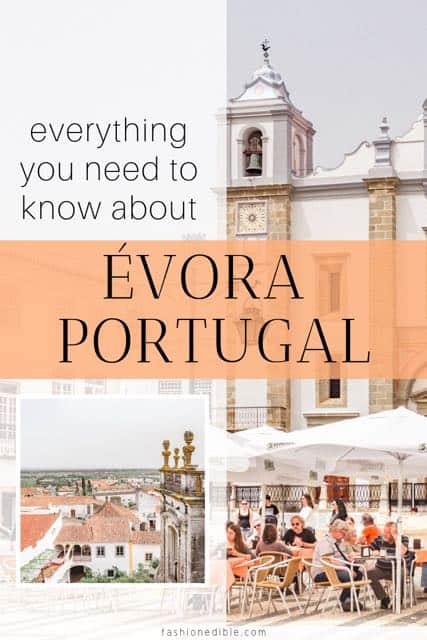 This guide covers where to stay and where to eat in the small city of Evora. 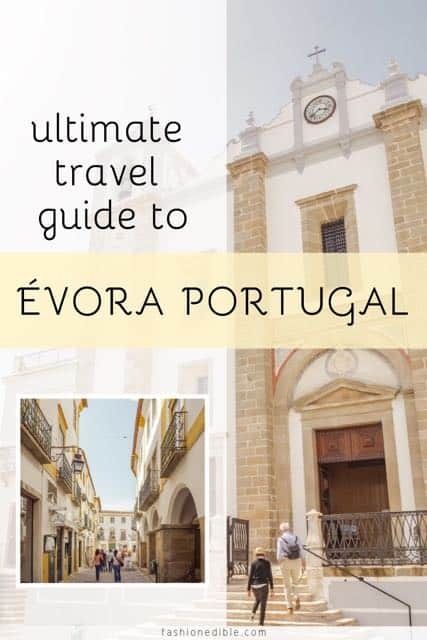 Our recommendation is that you combine Evora with other towns in the region – make sure you read our Alentejo Portugal travel guide for a thorough look into this unique region. 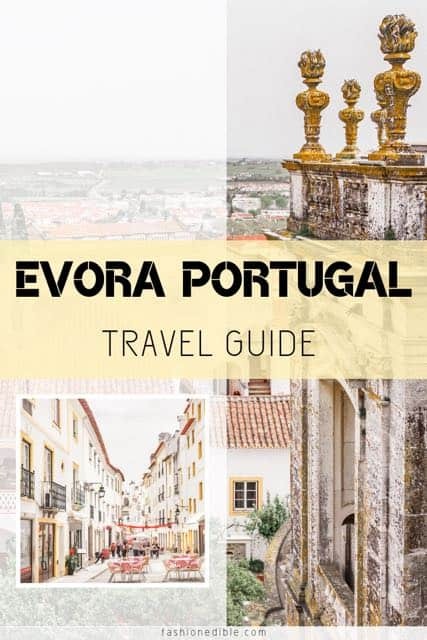 Alternatively, you can make Evora into a day trip from Lisbon. 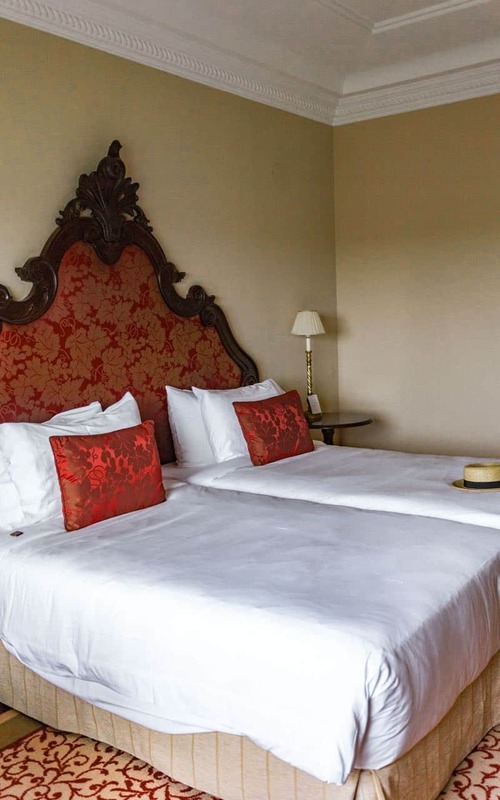 For 5-star luxury in the countryside, book a room at the Convento do Espinheiro. 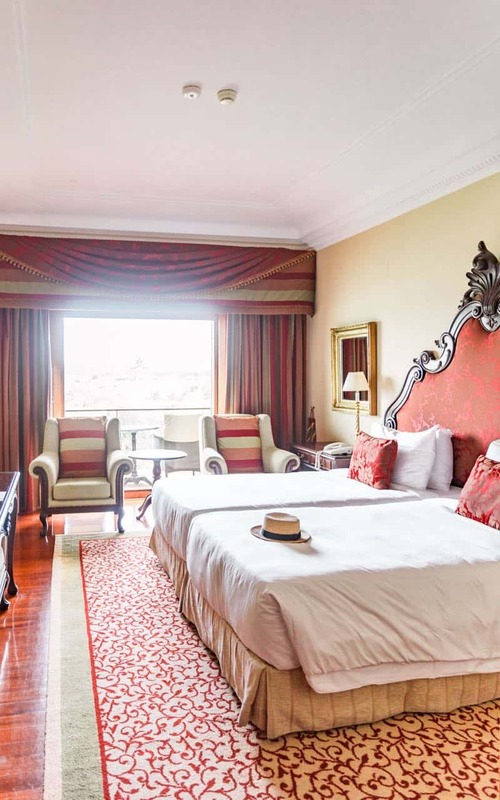 This hotel is an old convent with so many passageways and rooms to explore. 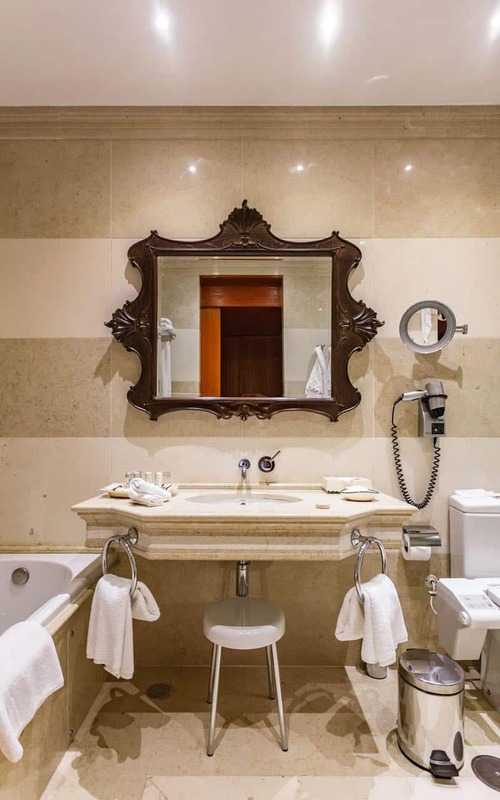 The rooms are clean, the staff is attentive and the breakfast is a delicious array of meats, cheese, cereals, and everything else you can imagine. The breakfast area turns into a dinner venue in the evening so it makes staying in the hotel even more convenient. 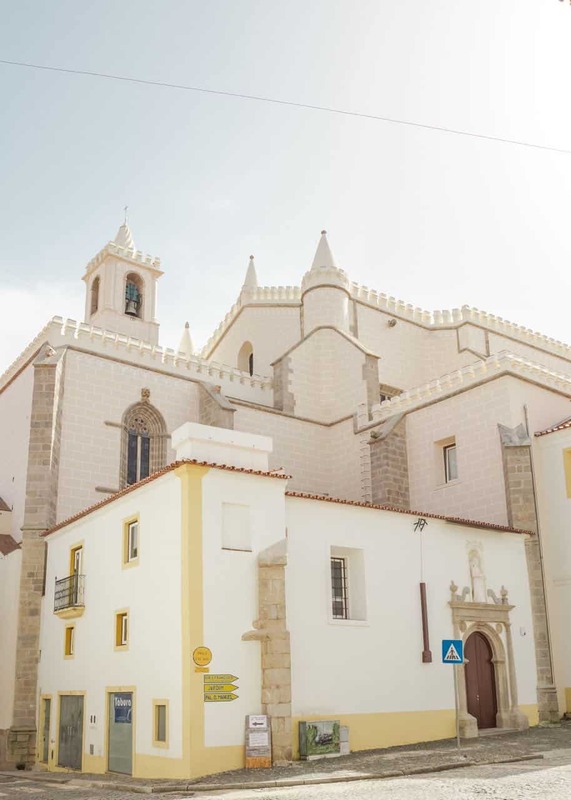 Other great options for lodging include Albergaria Do Calvario, Vitoria Stone Hotel or the super affordable Moov Hotel. 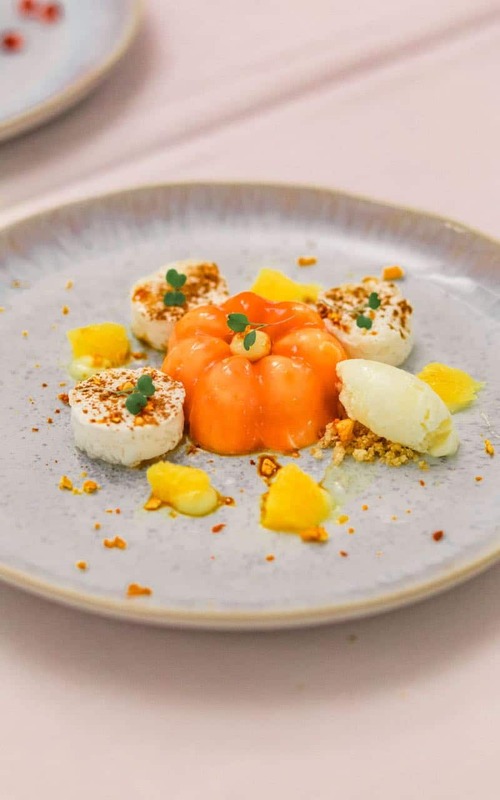 For an upscale meal, try Dom Joaquim. It’s elegantly furnished and the food is top-notch. 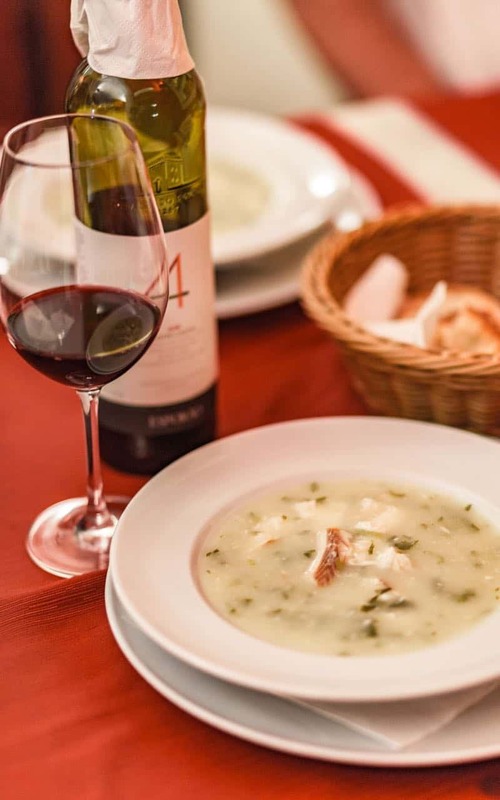 If you’re in the mood for a unique dining experience in a cave-like setting, then try the restaurant in the Convento do Espinheiro. 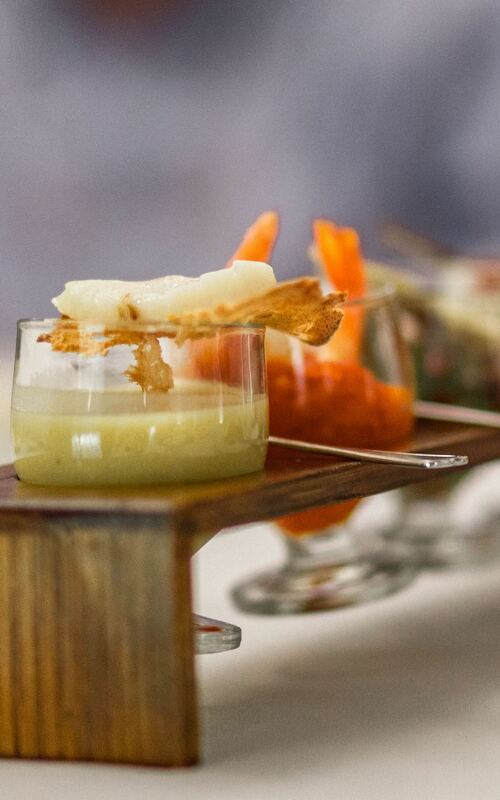 The food is phenomenal and has a more modern twist. 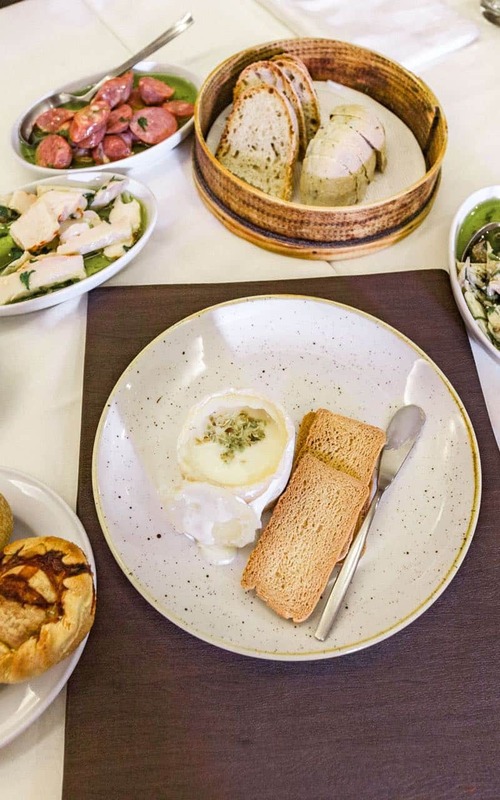 Cafe Alentejo is perfect if you prefer a casual setting or one that is a bit lower in price than the other two. 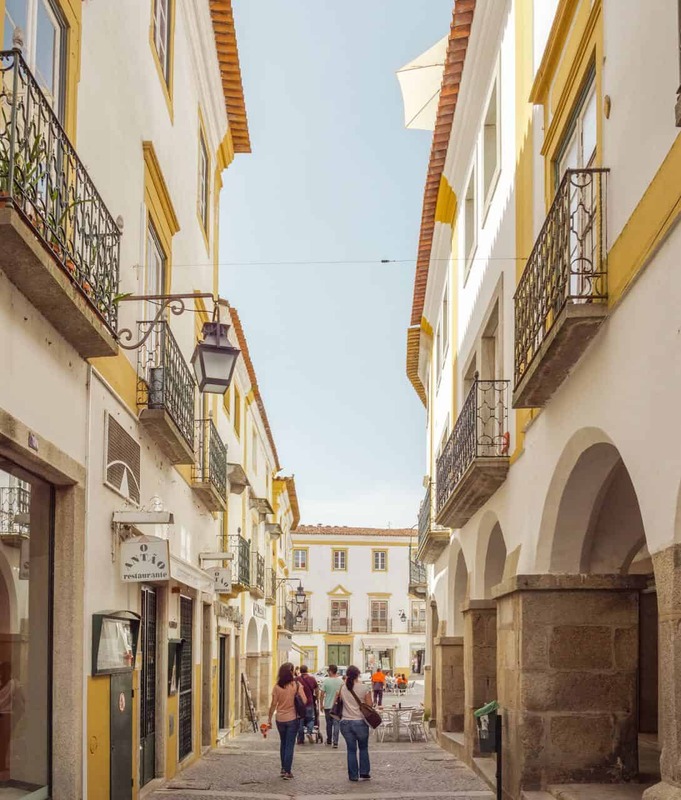 Surprisingly, Évora has a few important sites to visit. The most famous one is the Bone Chapel, a small chapel with an inside lined with human bones. This place is a burial site of sorts has an important message to relay: don’t take your life for granted because you’re alive while others are dead (like those buried within). It’s a bit eerie but if you can get over that, it’s pretty interesting to walk through. 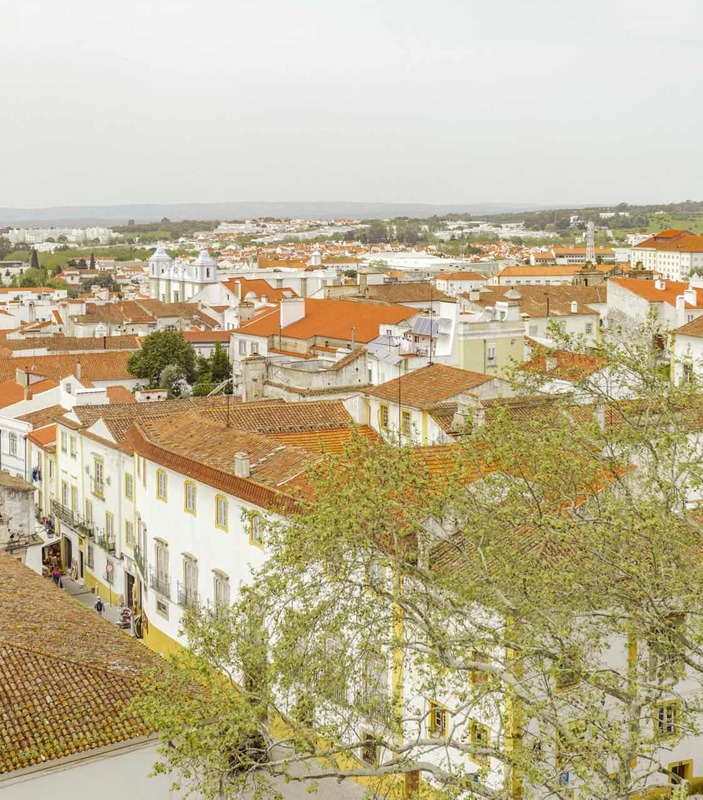 Évora’s ancient Roman temple is another must-see. It literally just sits in the middle of a square, free for all to see. The Évora Cathedral was probably my favorite thing to visit. The interior is beautiful but the best part is the view from the top. The climb is steep but definitely doable! This is a super unique Evora attraction; it’s a Neolithic set of stones set in the middle of nowhere. The stones are said to date back to 6000 BC and a few of them have inscriptions/drawings. Such stunning photos! Portugal has been on my list for years and I still haven’t gone, got to after seeing these! Those colors!!! Would you also say it was a quite affordable area in Portugal? Gorgeous pictures! 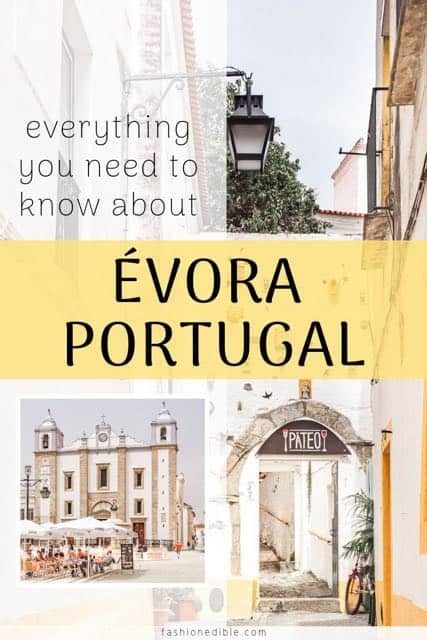 I wanted to go to Evora when I was in Portugal but we just couldn’t fit it in the itinerary. I hope to make it there in a future trip, it just looks stunning. I hope you make it there too! 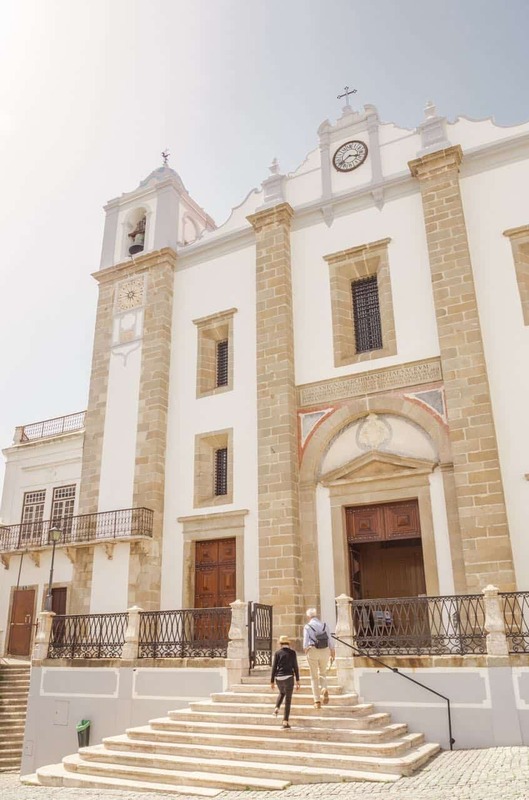 It’s (Alentejo) such a unique area of Portugal that has so many other great places to see in addition to Evora! Just got back from Portugal but unfortunately didn’t have time to make it to Evora! It looks every bit as pretty as Porto and Lisbon though. I know how that is. So many places to see but so little time!